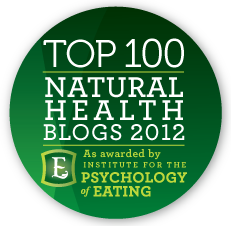 This article was originally published in Plant Healer Magazine, a quarterly downloadable, full color PDF magazine that “combines cutting edge science with heartful intuitive practice, personal stories that inspire, and practical skills that enable.” Follow this link to join the folk herbalism resurgence. I find myself asking: how could this be? The use of herbs is at an all-time record high. 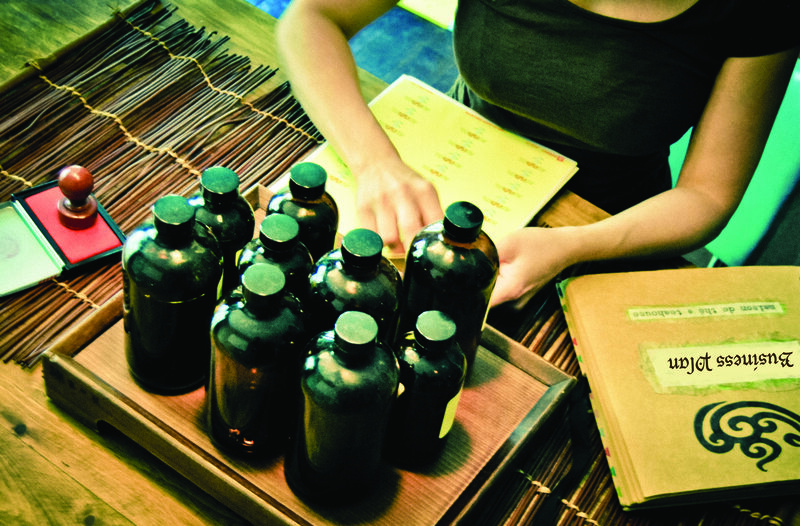 Global Industry Analysts are forecasting that the market for traditional medicine will become a $114 billion industry by 2015. By these standards, shouldn’t all herbalists be making an abundant living doing what they love to do? The fact is that if you generate your own income, you’re running a business. And if you run a business, then you must learn the skills necessary to do it well. Rather than blaming the universe for not supporting you on your path, it’s time to focus on building the necessary skills that will allow you to build a successful herbal practice. This requires using your own talents wisely, being honest about your limitations, and taking responsibility for your own successes and failures. The first step to building a successful herbal business is writing a business plan. This is not only a good idea; it’s an absolute necessity if you want to succeed as an entrepreneur. And contrary to popular belief, a business plan doesn’t have to be a cumbersome, bureaucratic paperwork process created solely for the purpose of obtaining financing. A business plan has three main elements: it is a strategic visioning tool that incorporates multiple advisors; a management plan that creates the infrastructure required for running a business; and a financial guide that prepares you for successes and anticipates potential setbacks. An ideal business plan is treated as a living, breathing document that is continuously referred to and updated as needed. This ensures that it accurately reflects the current state of your business. Any business starts with an idea, but if you want to determine whether this idea is feasible, then you need to start with a market analysis. Opening a business without doing a market analysis is like sailing a ship without a compass and hoping that you eventually hit land. You have to know in which direction to steer your business in order for it to survive. For example, when I first set out to start my own business I wanted to open an old-time apothecary shop that sold creative herbal drinks. I envisioned my new store as a place where you could go and “drink your medicine.” I decided to open this apothecary in a small village in Quebec, and I was so in love with the idea of the business that I was very resistant to “wasting” any time doing a market analysis and writing a business plan. I wanted to jump right into the fun stuff: writing recipes, selecting furniture, and ordering herbs. Plus I was already emotionally invested in my idea, and didn’t want anyone telling me that it wouldn’t work. On the recommendation of strong advisors, I finally relented and completed a market analysis. The results were very interesting. I realized that my original idea wasn’t feasible for the community: there wasn’t enough population density and the apothecary really didn’t meet the needs of the residents. The market analysis ultimately helped me to see that the community really needed a health food store. So my original idea evolved. The main concept now included a bulk health food store, with the apothecary and herbal juice bar adding the unique plant medicine twist that set the store apart from the competition. Consciously creating your vision is probably the most satisfying feeling ever. And like any creation, it takes the proper tools to make it happen. Trying to will your dreams into existence and hoping divine intervention will send you a sign is just not enough; you have to anchor your dreams in tangibles and then create a road map on how to get there. It’s also very important to believe in your vision and to describe it with as much detail as possible. Discussing your ideas with experts, advisors, and financial professionals will provide you with indispensable knowledge that can save you a lot of time and money. A business mentor once told me that one of the biggest mistakes that entrepreneurs make is to be overly secretive about their idea for fear that someone else will steal it. By doing this, entrepreneurs insulate themselves from constructive criticism and fail to identify potential downfalls of their strategy. In reality, not everyone has the stamina and perseverance required to be an entrepreneur, and the chances of having your idea stolen by someone else are relatively slim. My second mistake was to become so absorbed and engrossed into running the daily operations and working in my business that I did not take the time to step away and work on my business. I was too busy responding to my short-term needs. These factors slowly but surely separated me further and further from my original business plan; a plan that should have served as my ultimate guide to success. Referring to my original plan became more and more difficult because it no longer accurately reflected the portrait of my business. It wasn’t until I became pregnant and realized that I wanted to sell my business that I could account for these discrepancies. And it was a long road back; one which included numerous meetings with financial analysts, re-filing my taxes, overhauling my inventory systems, and implementing several new protocols. It took me over a year before I could even think of posting my business for sale, which lead to a very stressful six months after my son was born. All of this could have been prevented if my business plan had been used to its fullest potential. A thoughtful and well-defined plan provides an opportunity to follow the trajectory of the business, and to compare and measure its evolution. This means consulting and rereading the plan as needed to ensure that it is followed or to understand why you strayed from it. This will help you to react appropriately and make conscious decisions when they present themselves. Your business plan has the potential to quickly and easily show you the impact that your decisions will have on your business. The healing arts have always involved an exchange of energy. A few generations ago a farmer might have offered a chicken or a goat in exchange for a healer’s remedies; today this exchange involves money. I often hear herbalists and healers say that they don’t feel comfortable accepting money in exchange for their services. It’s as if money itself is somehow tainted with a negative energy, and that being poor will make you more honest and pure. Money is simply the new currency – the modern day chicken and goats. In order truly to thrive doing what you love, it’s important to make peace with money as today’s accepted form of energy exchange. As an “herbalpreneur”, understanding financials can be the most challenging aspect of writing a business plan. In fact, it can be the one factor that dissuades you from beginning the process in the first place. Understanding your strengths and limitations – and seeking appropriate help to support you in areas where you need it is crucial. When I initially wrote my business plan, for example, I had a lot of help with the section on financials – so much, in fact, that I barely understood what it all meant. I wasn’t too concerned by this, however, because at the time my ultimate goal was to use my plan to secure funding. Over the course of the first two years in business, all of my financial paperwork remained a blur – I had a complete mental block about it; I would look at a page of numbers and they would all melt together. I could ask someone to explain the basic terminology to me in great detail, and still forget it the next day. 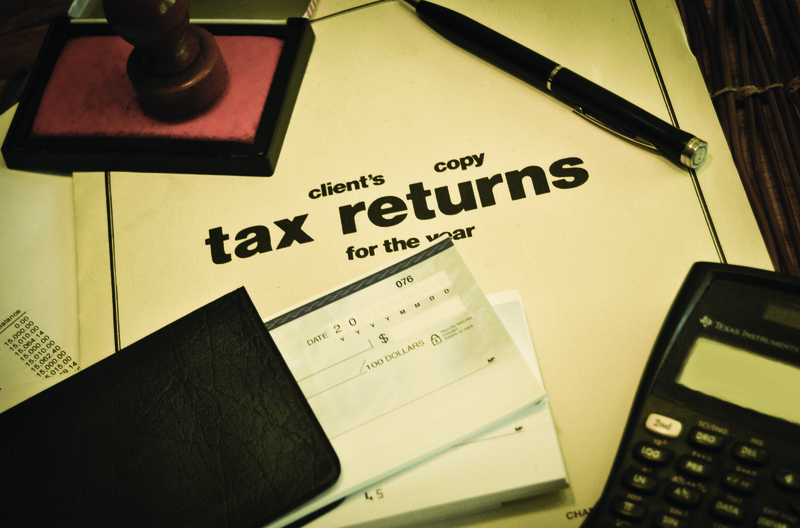 I completely relied on my accountant and bookkeeper to let me know how my business was doing. I was in the driver’s seat, but I was definitely not in control. When I finally signed up for a series of business classes and began learning how to manage my own finances, I couldn’t believe that I had gotten so far without understanding this basic information. I had made the very common error of looking at my financials without trying to understand or interpret the facts. The most important part of financials is to understand the difference between the anticipated financial figures and the actual finances: namely the net profit, sales, and costs. It’s important to not only consult the financial section of your plan, but also to understand the variations and discrepancies in your plan since the inception of your business, and to seek to explain the impact this will have on elements of your business including such things as: inventory, disposable income, and employees. If you can’t do this by yourself, then make sure to provide monthly financial statements to your accountant, bookkeeper, or account director, and then ask them to explain what it means. Understanding your weaknesses and anticipating the consequences (how your limitations can make your business vulnerable) will allow you to set up emergency responses and contingency plans when necessary. In the current economic climate, long gone are the days where people stay in one organization for 30 years, work their way up the corporate ladder, and then retire with a fat pension. These days the majority of working professionals are building a diverse resume and leveraging their current job to land a more desirable job at a different organization. Therefore, most people are essentially entrepreneurs regardless of whether they run their own business or have a traditional job. Being an entrepreneur is about creating a career for yourself and generating your own income – sometimes that income may come from a position within an organization, and sometimes that income may come from a clientele or customer base. Accepting your entrepreneurial nature and taking responsibility for own career trajectory will empower you to create the kind of livelihood you want. This makes becoming a professional herbalist not only feasible, but profitable on so many levels. Global Industry Analysts, Inc. “Alternative Medicine A Global Industry Outlook.”PRWeb. N.p., 10 Jan. 2012. Web. 28 June 2012. <http://www.prweb.com/releases/prwebalternative_medicine/homeopathy_chinese/prweb9087888.htm>. Thank you so much for this wonderful piece. I am just about starting a Herbal Health Food Store. You were just talking to me. I have a healing ministry which I am bringing along with and have been struggling with issues involving charging for my services. That piece about exchange of values and renumeration for services provided was very helpful and timely. Thanks. I need more help on how to get vendors to extend credit for their products for the first few months of operation, how to get inventory and those kind of issues. I am currently developing a business plan to present to private cap investors for my “Herbalpreneurship” in order to take it to the next level. I am very much in need of advise & guidance regarding the statistical & objective data & projected potential growth of this industry. Any information would be greatly appreciated. Currently as a business student, I have been doing my researching and planning a business plan to become a certified herbalist, but my question is after completing my business plan as a “Herbalpreneur” what’s the best advise you can give me to run a herbal business in the U.S.? I have so many questions on how to reach vendors, order & supply inventory, export herbals outside the country, marketing my products (herbs) online, etc…. As well as, what’s the main focus a herbalist should know before opening and running a herbal business? Thank you so much for this excellent, concise outline of the next steps I need to take to realize a dream I have gestated for decades. 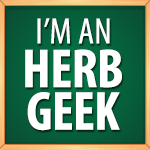 I have been studying and practicing in herbalism for 10 -15 years now. I do not have any formal education. Would I need a license or certification to run a herbalist shop?